What a big week it’s been. On days like this, we all appreciate that feeling when we wake up revelling in the fact that it’s Friday. So what has everyone got planned? I’m off to The German Club to celebrate the Gemini’s among us, for some awesomely stodgy (and most excellently large) food, lots of awesome European beer and probably dancing to dreadful music sung by Andy (I’m sure that’s his name). You know it’s time to leave when he starts doing Lady GaGa covers!! 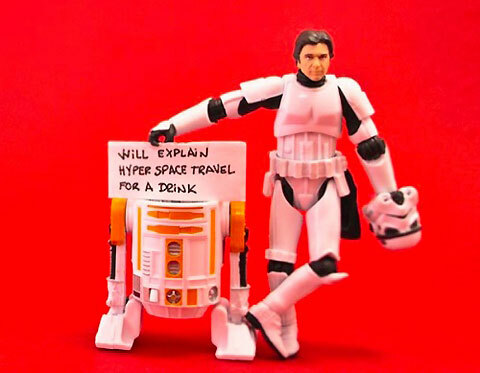 So if you see me, I’ll be like Han Solo… except I’ll explain ‘anything’! Ha! Happy weekend everyone! (Disclaimer: *Sorry, may also not be wearing Star Wars get up!)!! ← When are the holidays?